Malai Barfi is an exotic taste of India that tempts you to gulp it once you taste it. The awesome dessert is eye pleasing with its white colour. The base component being milk products, Malai barfi is a complete nutritious food. The fabulous barfi is made with premium quality sugar and chenna (curdled milk). 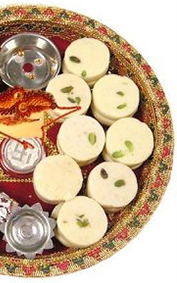 We are sharing the recipe of popular Malai barfi. Step 1: Take a thick bottomed sauce pan and add milk to it. Step 2: Keep the flame low and start adding lemon juice slowly while stirring. Step 3: Stir the milk without breakage until curdles are formed. Step 4: Strain out the whey (the liquid part formed after curdling of milk). Step 5: Continue cooking the chenna formed, adding sugar and cardamom powder, stir it well again. Step 6: Add some ghee to the mixture and mix well. Step 7: Turn off the flame once the texture of the chenna is like of a sponge. Step 8: Take a square tray and grease it with little ghee. Step 9: Add the entire contents to the tray and level it with a spatula. Step 10: Slice the almonds and pistachios, and add them over the Malai Barfi. Step 11: Cut it into small square pieces and serve. The Malai Barfi is now ready to be served. This yummy dish is healthy and nutritious for all age group people. You can increase or decrease the sweetness as per your taste. Malai Barfi is a sumptuous snack for 5pm and also a perfect festive dessert. Once you learn to cook this amazing recipe, Malai Barfi will be an everyday Mithai in your home. The premium range of finest quality Barfis from MM Mithaiwala is fabulous with is taste and classy with its texture. 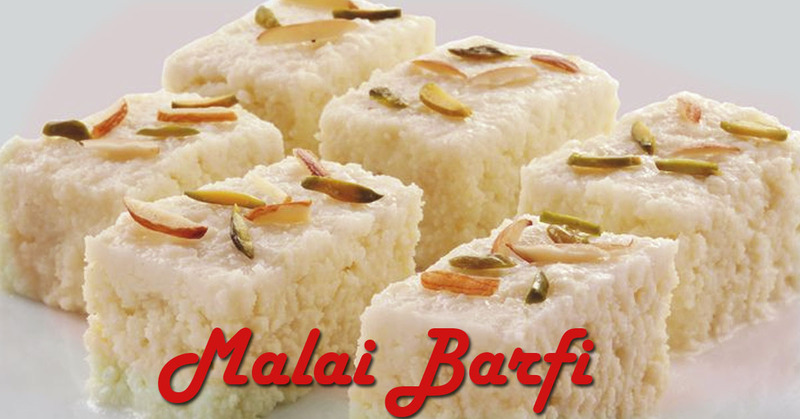 Malai Barfis from MM Mithaiwala is a melt-in-mouth delicious sweet dessert made from 100% pure cow’s milk. They are freshly prepared and packed on every order. 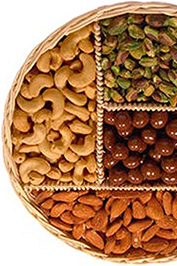 You can order and buy in bulk quantity from MM Mithaiwala for any special occasions in wholesale price. Call us now to place orders. Enjoy the great taste of MM Mithaiwala Malai Barfi.